Jewelry-A Peek at My Tools...cont. 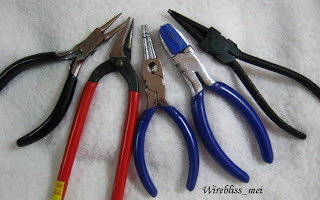 Not enough with the two sets of pliers (posted yesterday), i get myself some of these from the local hardware shops and supermarkets. Oh well, you get what you paid for. 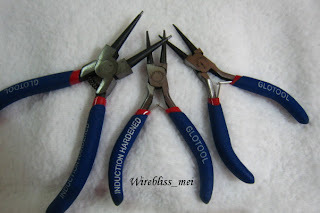 I purchased the first three pliers (three round nose pliers (GLOTOOL)) because i wanted to get the smallest round nose that i can find. Ended up with three.....then more, look at the second picture.....talking about kiasu.